Welcome to our family owned and operated farm. 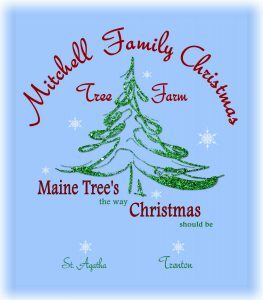 We are offering fresh cut trees for sale at our Trenton Farm that were grown on our St. Agatha farm. We will be ready for wholesale orders in 2018. We will be selling fresh cut trees, garland, wreaths and swags at our Trenton farm this holiday season, as well as unique, locally made gifts. Stop by and check us out!